Toyota continues to top the midsize truck market. For 2016, they introduced the redesigned Tacoma with fresh styling and updated features. 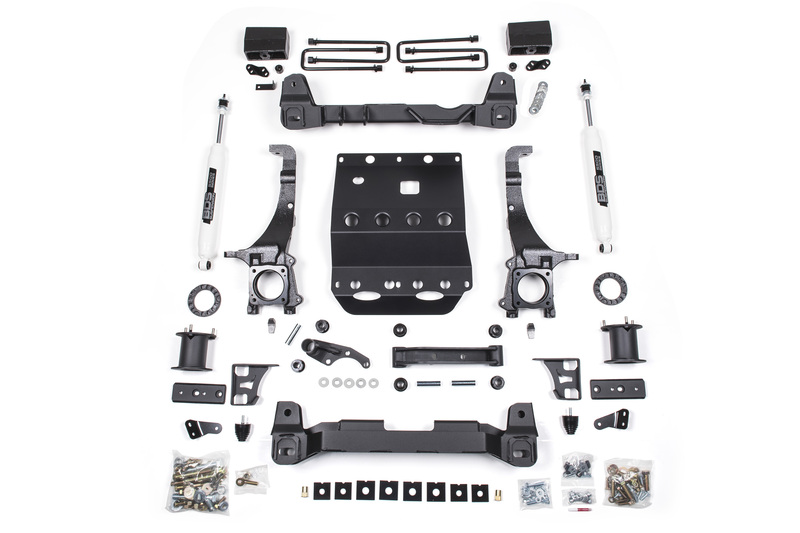 While the bulk of the chassis remained the same, there were changes that needed to be addressed to release suspension lifts for the new trucks. BDS Suspension is excited to announce 2.5", 4", 6" and 6" performance coilover systems in stock and ready to ship for the 2016 Toyota Tacoma. These new systems are engineered to the highest standards, improving off-road performance while maintaining onroad drivability with clearance for up to 35" tires. All BDS lift kits are backed by Factory Protection Plus offering the No Fine Print Warranty and 5-years 60,000-miles of drivetrain protection at no extra cost. 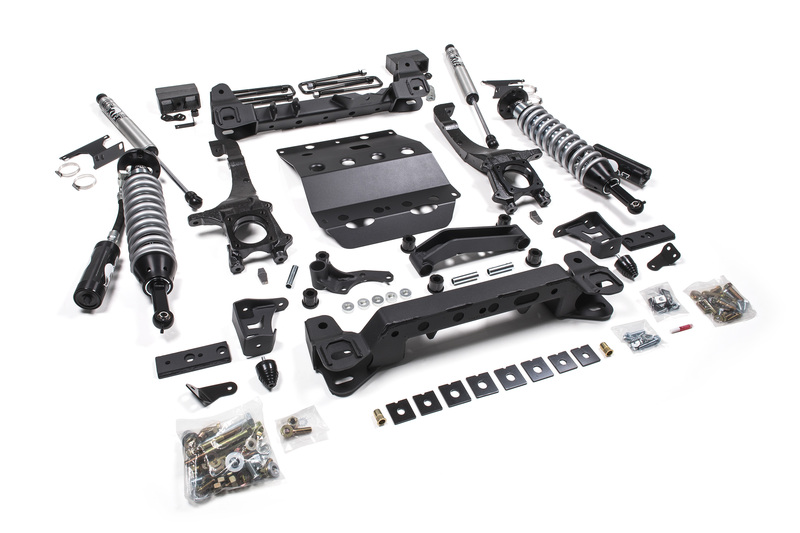 Get more out of your 2016 Toyota Tacoma with BDS Suspension. 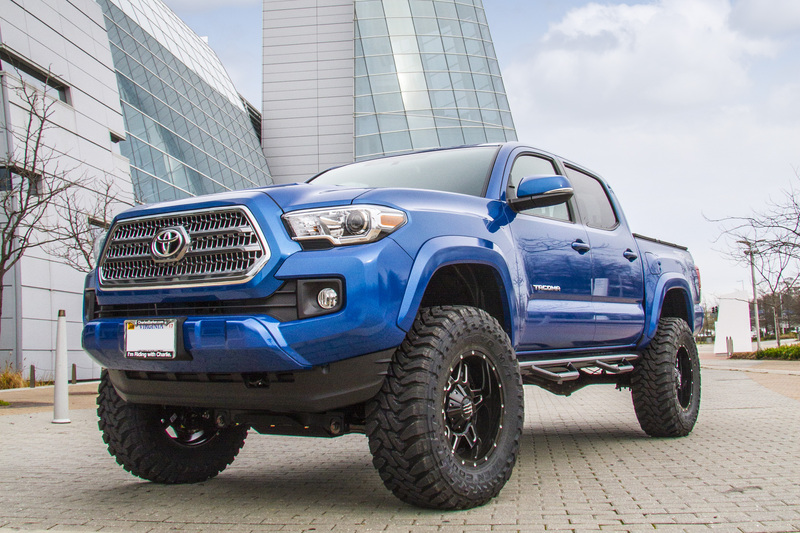 Whether you're looking for the smooth riding system for weekend trail rides or you plan to bomb through Baja, BDS offers suspension options for your 2016 Toyota Tacoma. Just purchased 6 inch system.Cant wait to put it on next week.Will gve feedback after installation. Any updates yet on the new system? I’d love to get a wider rim on it. Is this possible? our tire/wheel recommendations are just that, a recommendation. Other sizes can be used, however wider wheels or wheels with small backspacing may cause additional trimming and/or a smaller tire size should be considered to minimize interference. Aftermarket modifications like trimming, high clearance bumpers, fiberglass fenders etc will effect tire clearance as well. Does this kit require cutting the factory cross member? What happened to the FOX UCA option you use to offer with this? Hey Lee, short answer is those were pulled off the market and will be getting re-released soon as a BDS chromoly UCA. Keep an eye out for the product announcement when they hit the shelves ready for sale. Do they have any issues with TCS with the 6 inch lift and 35’s?? Thanks for your interest in BDS Suspension. 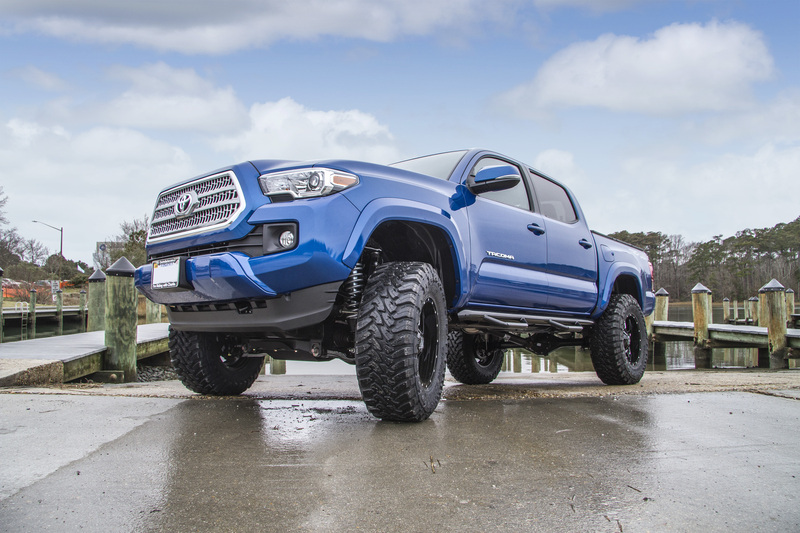 To answer your question installing our Tacoma lift kits will not effect the factory installed traction control system. Do the lifts maintain that factory width with the lift? Or does the track width go wider? Ive heard guys using the Foc Coil Overs for the 4 inch lift kit is this true? Very interested in your kit but I am having a hard time getting over all the hate on the forums. I think drop bracket kits are smart because you retain the factory cv angles. Is the any increase in wheel travel when the coils and upper control arms are used? 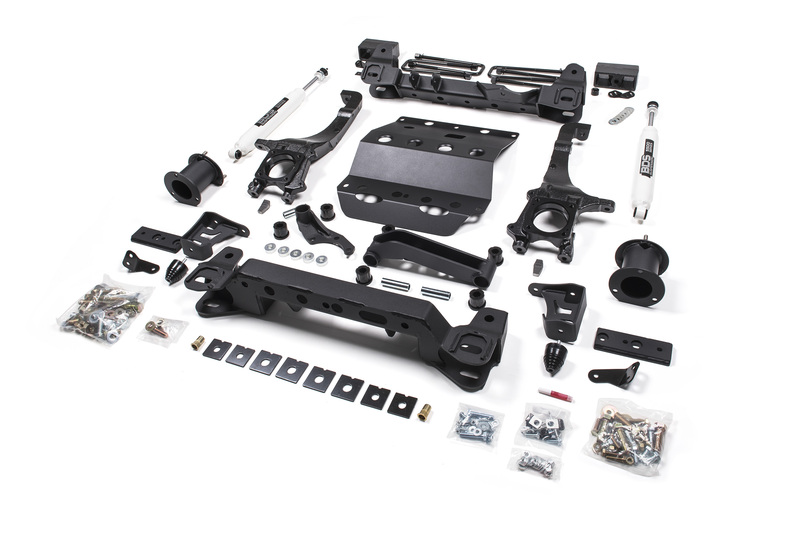 In the Toyota community the drop brackets kits catch more flack for the perception more parts hang lower when in actuality the ground clearance is based on tire size and as the suspension geometry is similar to stock. If you’re planning to lift more than 3″ of lift it’s what you have to do to correct suspension/steering geometry. 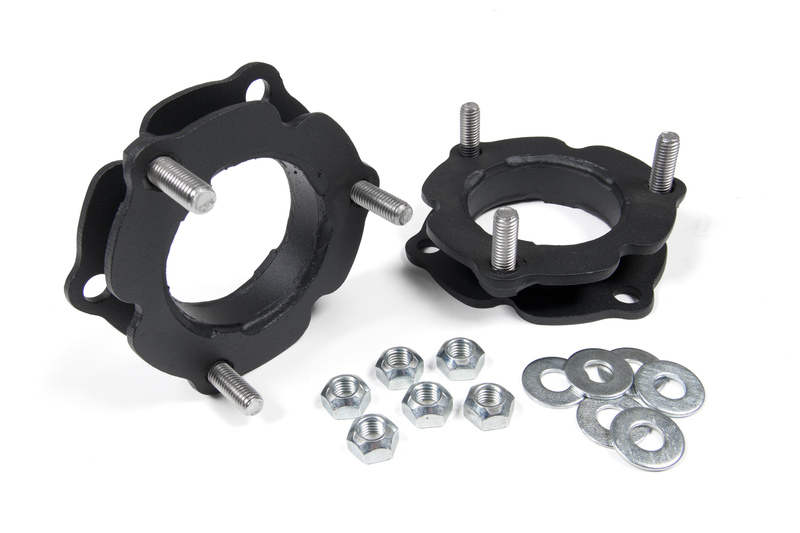 Our 4″ and 6″ kits are stout and designed for use on road or out on the trail. The new steering knuckles retain steering geometry and we include differential drop to correct CV axle operating angles. 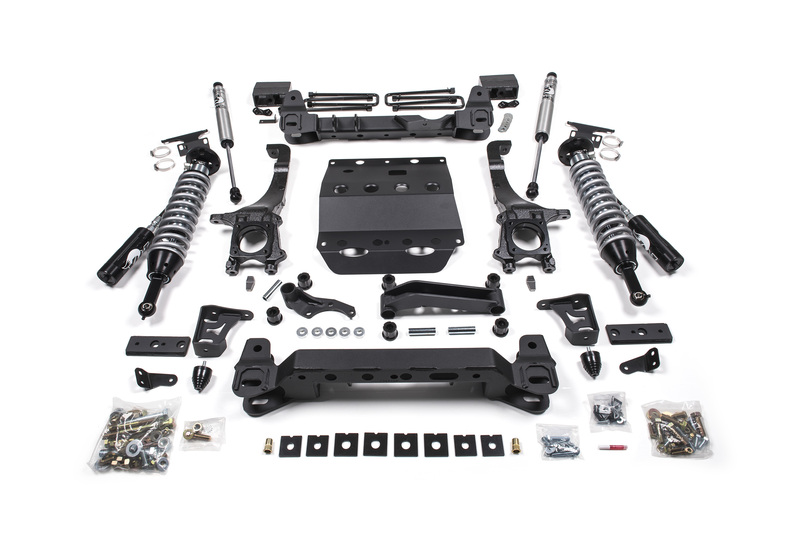 Our upper control arms will allow more droop travel when used with our 6″ lifts (not recommended for the 4″ kit). Thank you very much for the reply. I used one of your BDS kits on my 07 f150 and loved it. I am going to purchase your 6 inch lift. I have one final question before I purchase. I really want the kit that comes with the Fox shocks but the budget does not allow for it. Can I purchase just the shocks from you guys later down the road and if so is it a better deal when it’s bundled in the kit? Thanks again for everything and I can’t wait to put your kit on and show everyone on YouTube how it performs. No problem there at all. 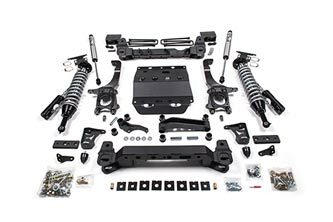 Each of our kits can be updated later on so if you want to start with the standard 6″ for now to get the taller ride height, then add the FOX shocks/coilovers, UCAs and any other accessories later on everything is available a-la-cart to do so to build it into the performance coilover system.